From what I've read, the edges of a popping balloon move faster than the speed of sound. Despite my best efforts, the edges of my popping balloons are always blurry. From my research, it seems that the fastest discharge I can get from a xenon flash is somewhere around 1/40,000 of a second. It seems you need to get exposures less than a microsecond to get crisp images of supersonic motion. 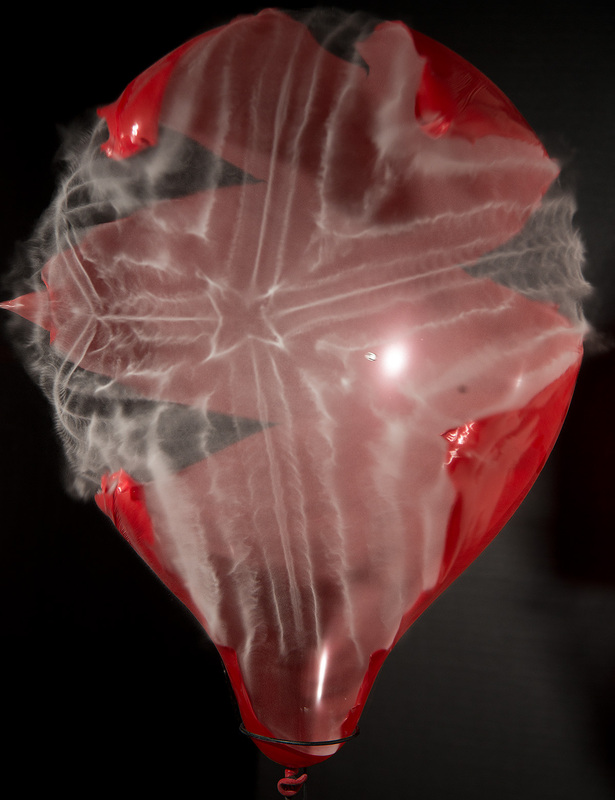 However, what I really want to do is understand how those patterns form in the cornstarch as the balloon pops. To do that I need a high speed video camera that takes images with sub-microsecond shutterspeeds, and very rapidly. Do any commercial high speed cameras exist that can do that, and that can be rented by mere mortals? And how would I pump enough light onto my subject to expose those extremely short shutterspeed images? I know Dr. Edgerton used moving film and revolving mirrors to create sub-microsecond images of exploding atom bombs, but those cameras weighed hundreds of kilos and cost hundreds of thousands of dollars, or perhaps more. Not the answer you're looking for? Browse other questions tagged video high-speed stop-motion or ask your own question. Is there a D-SLR that can record video with continuous autofocus? What shutter speed to use when shooting video? Are there dSLR cameras which can take movies without a rolling shutter artifact? Do video cameras use the same image sensors as still cameras? Will there be a need for cameras at all once we have 4k video?